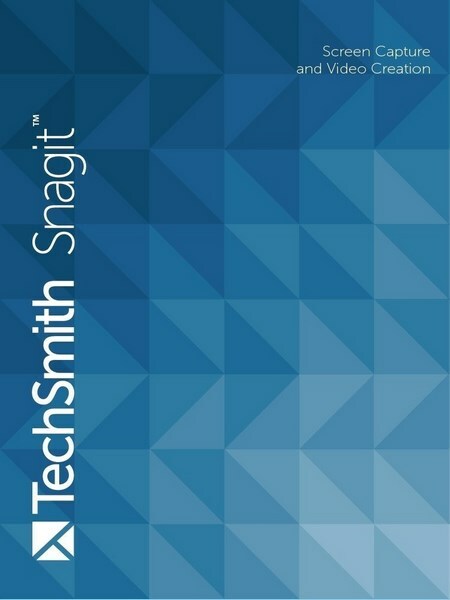 TechSmith SnagIt is the award-winning screen capture software. It will help you capture great looking images and videos with just a few clicks.Using TechSmith Snagit, you can select and capture anything on your screen. Then easily add text, arrows, or effects, and save the capture to a file. Or share it immediately by e-mail or IM. Easily customize any screenshot with effects, or show off what’s important with TechSmith Snagit’s markup tools.You can also create quick videos by recording your screen. Capture and Edit Images. Grab your entire desktop, a region, a window. Or a scrolling window from any webpage or app and mark it up with loads of effects. Record a Video of Your Screen. Quickly show anything on your screen by recording a video. And you can even trim out any parts you don’t need.Save your files to your computer, send them directly to Google Drive, Microsoft Office, or any of TechSmith Snagit’s other sharing options. -- Scrolling Capture. Quickly capture everything on the page even if it’s not showing on the screen. Grab the horizontal, vertical, or entire scrolling area with just a click. -- Video Capture. Sometimes It’s easier to talk things through. Create, narrate and trim quick videos of your screen for demos, feedback, reviews, and more. -- Video Trimming. Quickly get rid of any unwanted sections from your screen recordings. Remove ums, ahs, coughs, extra time from the beginning, middle, end or any mistakes you want to correct. -- Step Tool. Quickly highlight a series of steps in TechSmith Snagit. Each click applies the next number in the series. Your sizes and styles stay the same so you can easily keep a consistent look to your projects. -- Special Effects. Add effects like border, shadow and perspective to your entire capture. Or, create your own custom style. -- Fast and Easy Sharing. You share content across many platforms every day. Snagit connects your images and videos with the accounts you already use for a fast and easy workflow. -- Google Drive Integration. Upload your images and videos into Google Drive to give your viewers access from any web browser or mobile device. You can also import files into Snagit instantly from Google Drive. -- Multi-platform Support. Snagit is one product on two platforms. The software key will unlock both – on Windows and on Mac, so no matter what system you’re using you’ll be able to get your work done. -- Multiple File Formats. Snagit lets you save your images and videos in a variety of file formats. The default file type is PNG, but you can save to JPG, GIF, PDF, and more from within the Snagit editor.